The commission wants to charge the operators of a low-power TV station in Morehead, Ky., $144,344 for operating without a valid license after they failed to renew their license and ignored FCC warnings. The FCC today proposed a $144,344 fine against Vearl Pennington and Michael Williamson for operating an unlicensed low-power television station in Morehead, Ky. An FCC investigation found that these individuals continued to operate well after the FCC license for their station was canceled following failure to file a renewal. The proposed fine is the maximum allowed for ongoing violations of the Communications Act, justified by the individuals’ continued operation of the station for years despite repeated warnings that they were in violation of the law. Federal law prohibits the operation of a broadcast television station without a license issued by the FCC. Congress enacted this requirement as a means of ensuring a fair and equitable distribution of scarce spectrum resources among entities, such as TV and radio broadcasters, public safety agencies, and wireless phone and data networks. Unlicensed, or “pirate,” broadcasts can cause interference to licensed uses, such as potentially preventing the public from viewing or hearing important public safety warnings. 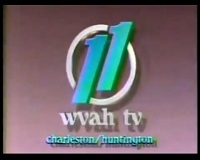 In 1990, Pennington was granted an FCC license to operate low-power television station DW10BM in Morehead. He renewed the station’s license in 1993 but failed to do so again in 1998. In 2004, the FCC’s Media Bureau wrote to Pennington to inquire if he had submitted a renewal request in 1998. Receiving no response, the bureau canceled the license for DW10BM in 2004. Pennington, joined by Williamson, continued to operate the station despite their lack of FCC-issued license. After an unrelated FCC filing by another entity referenced the continued operation of DW10BM, the FCC’s Media Bureau informed the Enforcement Bureau, which investigated through its Atlanta Field Office and found that the unlicensed station was indeed operating on ch. 10 in Morehead. FCC agents met with Pennington and Williamson during the investigation and warned both individuals that their unlicensed broadcasts violated FCC rules and the Communications Act. The station was instructed to cease operation, warned of possible enforcement actions and issued an on-scene Notice of Unlicensed Radio Operation. Despite these warnings, the men continued to operate the station, the FCC said.